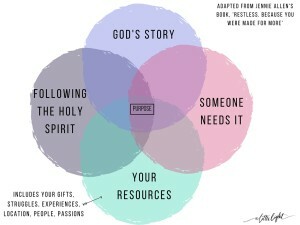 God planned for the internet and what it would do in our lives. He knew the communities that would be built, the stories that would be shared, and the lives that would be connected. He knew you would come to spend a large portion of your time online. I’m sure He’d rather it not all be watching cat videos or vaguebooking, but……. Anyways, here we are with our online lives. How can we use it for a bigger purpose? For His purpose? 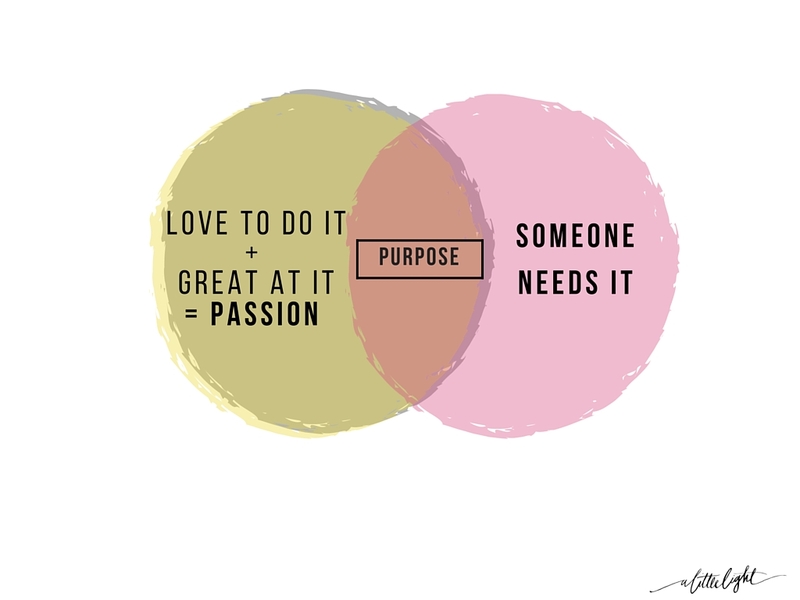 We hear a lot about finding our purpose being described in ways like these…. 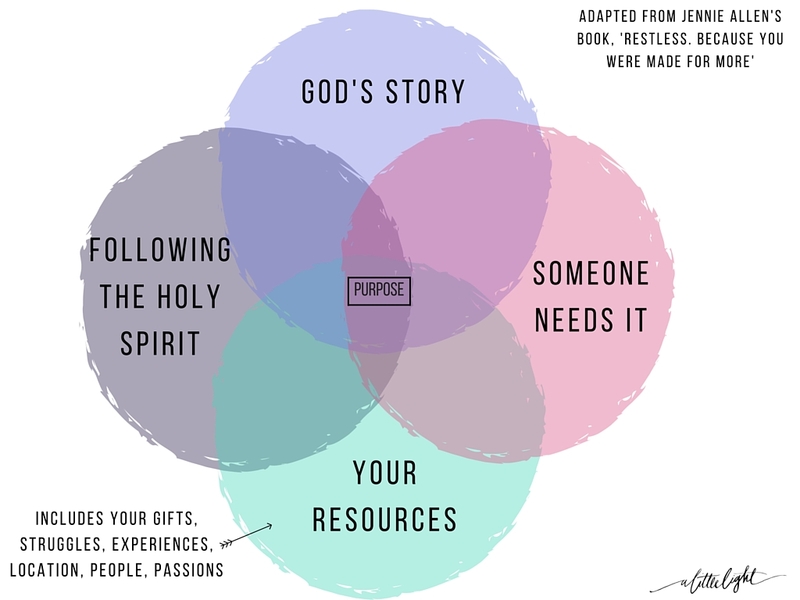 And since we are fans of Jennie Allen’s book, Restless, we love how she walks people through finding their purpose using components of our passions, sufferings, triumphs, places and people. 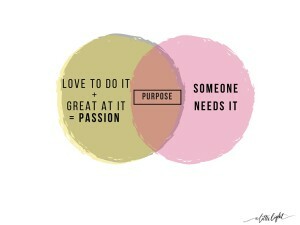 What if we started looking at our purpose the way she describes? Would it change things for you?…. No matter what you feel your strengths and weaknesses are. No matter if you write about the true fate of socks in the dryer, or if you are an art collector, there is always a way you can have a positive impact in the online (and offline) space. 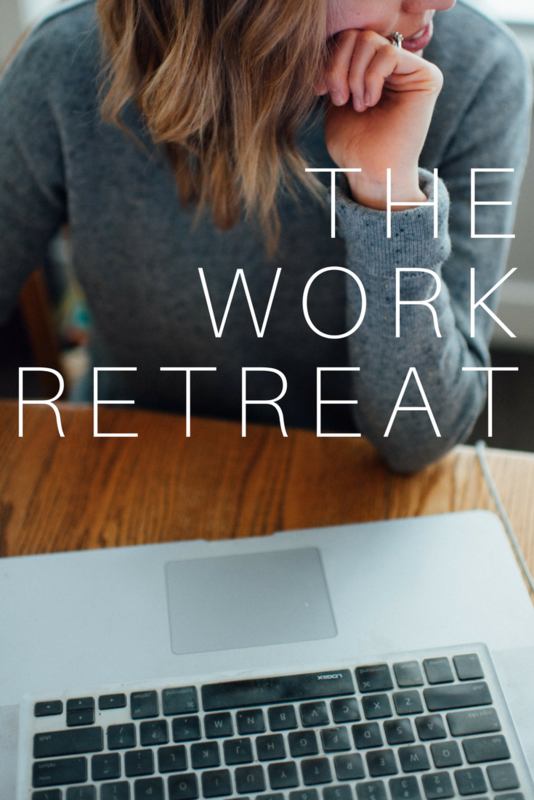 There is a way you can serve an online community with your passions, experiences, talents and stories. If you don’t know what your ‘something’ is, it’s okay. Feeling a little lost is normal. Making the point to learn about your own living and loving is a necessary part of the process. If you don’t know who you are, you don’t know what you can give. Take some time to think about the things that you…. 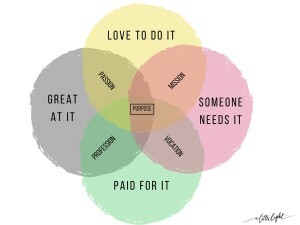 Pair this with your passion to be online. Everyone has a platform (online and offline). For the first time in history, the majority of the world can access your words and your work online. 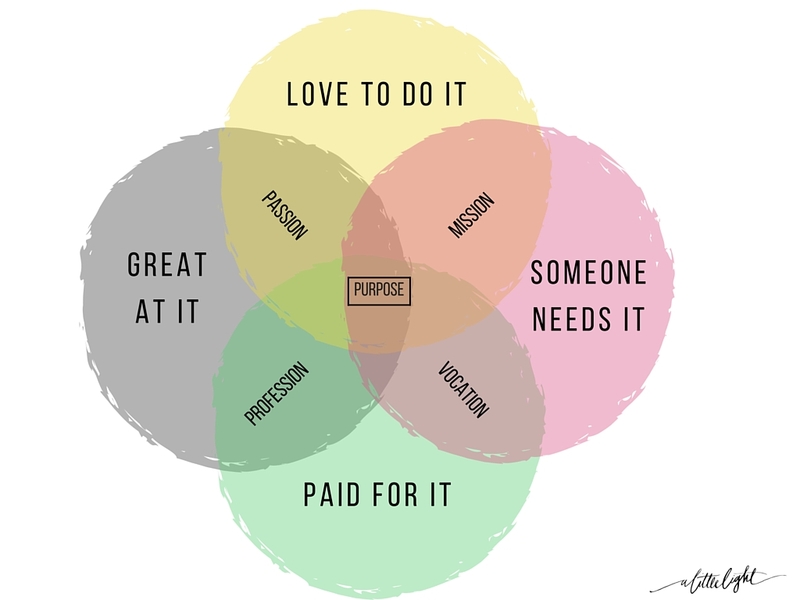 So step up and embrace those things that you get you fired up, that you are good at, that can be of service to others and combine them with your influence and platform. These are the real ways you can make a positive impact online. This post originally appeared on A Little Light in October 2015.